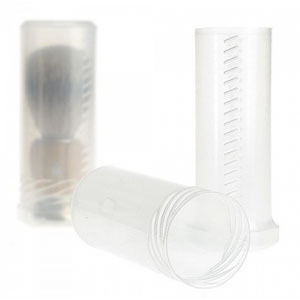 • A simple solution to protect the shaving brush when travelling: the twistlock action holds brush securely in position in the tube. • 1 tube, comes without brush. • It's a simple solution for protecting shaving brushes while travelling. • It features a twist lock which holds the brush securely.